While there’s no major changes in the last year (compared to 2015 – 2016) we think it’s interesting to overlay the changes in the last year to see how vendors have moved over the course of the last 12 months. 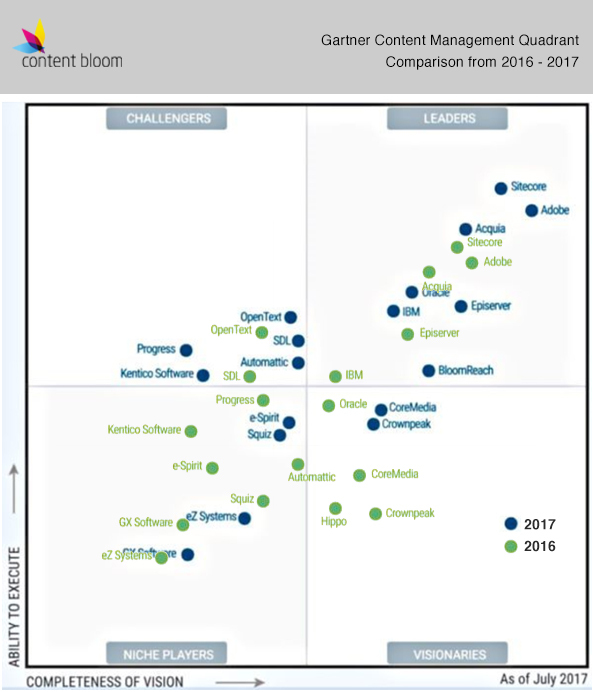 It’s no surprise to Content Bloom that Adobe and Sitecore remain on top of the list. It’s interesting to see BloomReach appear on the list following their acquisition of Hippo. Looking to work with a leading Content Management Implementation Agency? Contact us to talk with our experienced global WCM team.